It would appear Martin drew a car for Piaggio and also some mopeds, for both Piaggio and the Gilera brand which they also own. But of course it is the Vespas we want to know more about, isn’t it.It seem Martin did a few Vespa related jobs for Piaggio, and I’ll filter the details through over the coming days. 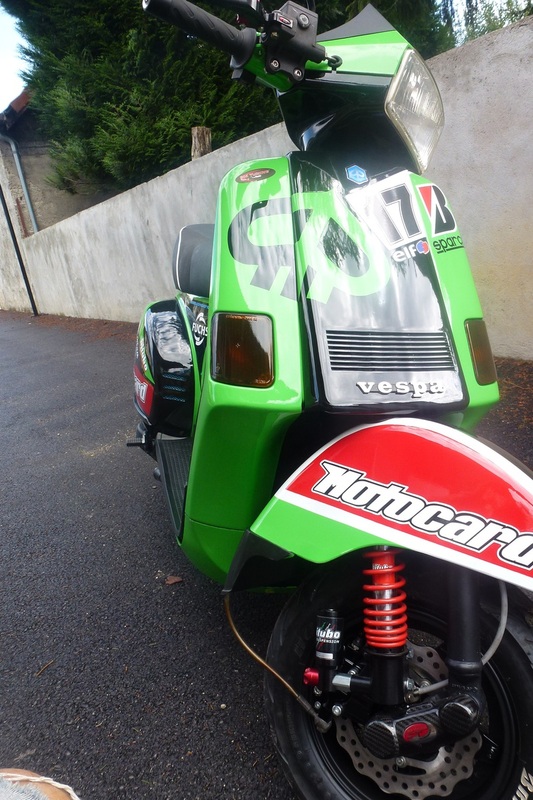 But we’ll start with this, possibly the biggest ‘what if’ in the world of Vespas. The 1980s began well for Piaggio, their Vespa P-range dominating the market, but it wasn’t long before the Japanese began to gain ground with their cheap plastic automatic scooters. Unfortunately for all concerned, the 80s were also a decade of angular design, so everything looked pretty awful too! Whether this is what prompted Piaggio to head in that direction or not, we don’t know, however looking at Mr Martin’ portfolio suggests when it came to angular designs, he was the man! Now while this scooter may ring some bells, the images were actually named “GS H20”. We know that Piaggio had been working on a fuel injected PX200 engine, and this suggests that liquid-cooling was also on the cards at one time. 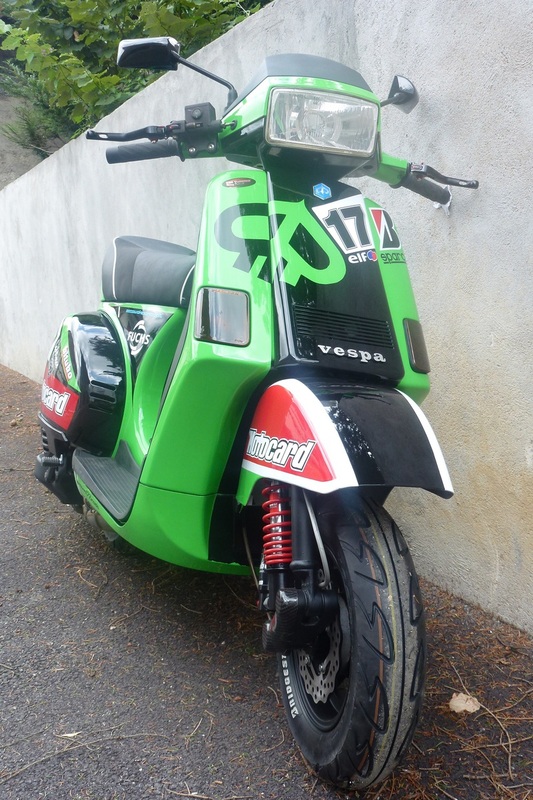 And if you’re going to produce a all new, top of the range and presumably sportier engine (that’s the only reason to add the expense of liquid cooling a scooter’s engine, to gain performance) then why not bring back one the great Vespa names of all time – the Gran Sport? Some dates suggest this project was from 1986, but it could possibly have begun a year or two earlier. You can see from the mock-up being built above that a Vespa PX was being used as a base for at least this example. The design however, is quite a radical departure from the Vespa as we knew it then. The water-cooled engine could even have been a 4-stroke, though 2-stroke is more likely, and while the Japanese scooters were all automatic with CVT transmission, all the drawings we’ve seen suggest a geared Vespa scooter, although the image of a concept vehicle at the Piaggio factory in Pontedera below does suggest different. As angular as it is, Martin’s Vespa GS H20 does have design cues of the future both with the sweeping front legshields and slightly elevated rear end. One thing that is also a little confusing is some drawings seem to show the front fork legs on the left side of the scooter, as they are on the modern auto Vespas of today. Martin’s signature on the drawings is correct suggesting they’ve not been accidentally flipped for the internet, so was farther ahead of the times than we think? Sadly Paolo Martin‘s website has been updated since I found these images earlier this year and the galleries no longer seem to work. I hope he doesn’t mind us publishing these (and more in the future) because it is an interesting chapter in the history of the Vespa. This entry was posted in New Scooters, Piaggio, scooter, Scooter Factory, Vespa and tagged 125cc, Bertone, concept vehicle, designer, ghia, gran sport, paolo martin, Piaggio, Pininfarina, prototype, scooter, scooter factory, torino, Vespa, vespa cosa, Vespa GS, Vespa GS200, Vespa PX, Vespa Rally 200 by admin. Bookmark the permalink. Fantastic stuff, and a great design… contemporary, futuristic even (for the day) but still pure Vespa. Hi,i have a Cosa 200, just finished tuning the engine,this futuristic image of the Cosa family is absolutely fantastic, does it still exist? 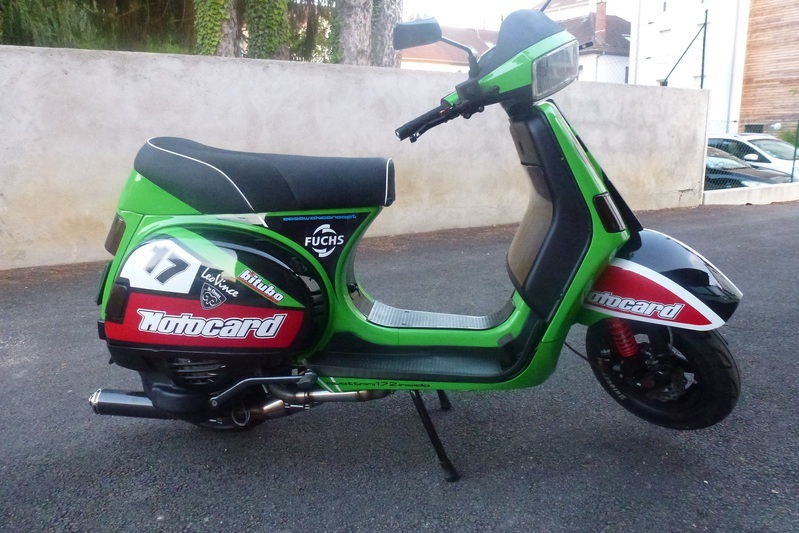 It’s a total work of art, light years ahead of any scooter I’ve ever seen,bellisimo!! Sounds great, we’d love to see pictures! you’ve made a great job of this, looks very tidy!